Not everything that happens in Las Vegas, stays in Las Vegas. The Interpreters team were fortunate enough to celebrate an early Christmas party in Vegas last weekend … it was a well deserved celebration which included fancy food, entertainment and a little bit of gambling. 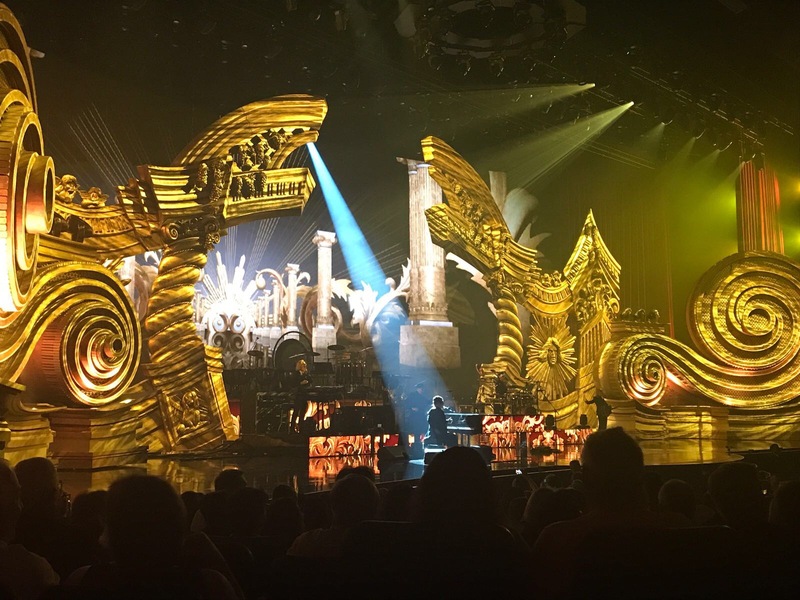 Part of the entertainment and one of the many highlights, was being able to see Elton John live at Caesars Palace … a stunning performance from a 70 year old! Sir Elton Hercules John is a brand that has stood the test of time so we wondered lessons in branding we could learn from him. The longevity of the Elton John brand can be attributed to his product – the songs that he releases. His long standing collaboration with Bernie Taupin was not only acknowledged by Elton in his show but proves that when a product has a winning formula, there’s no need to change it. His strength is piano-based rock and roll and he sticks with it. For other brands, it’s a need to examine the functional elements of what you offer and how this resonates with your customers. What are the benefits that the product is delivering and where’s the winning formula? While the product has remained consistent, Elton hasn’t been afraid to adapt and evolve the core offering. Feathers might have been replaced with sequins but he reached a whole new and younger demographic with Circle of Life from the Lion King, collaborated with other artists such as Eminem, Moby and Pavarotti to cover most musical genres and seen on the silver screen most recently in Kingsmen. The core of his own personal brand doesn’t change but he reaches a broader and more diverse demographic by doing so. This is classic brand extension and adaptability in changing market conditions. Brand stretch is hard for any product but if you retain the core elements of what you offer, brand extension is much easier. In Vegas, Elton introduced many of his original band members and talked about his relationship with Taupin – echoing what he said when inducted into the Rock & Roll Hall of Fame in 1994 – “without Bernie, there wouldn’t have been any Elton John at all’. While Elton is acutely aware of his own personal brand, this suggests that the brand is bigger than the individual. A good brand recognises all the components that makes it loved by consumers. It also gives the emotional connection to the brand – we often speak about the balance between the functional and emotional benefits that consumers want from brands – in Elton, we have the product as well as the stories and names that help create it. Thanks Sir Elton for a cracking night and some branding lessons … next up, Branding Lessons From BlackJack Tables.